In the early 1970s, tension along the Israel-Lebanon border increased, especially after the relocation of Palestinian armed elements from Jordan to Lebanon. Palestinian commando operations against Israel and Israeli reprisals against Palestinian bases in Lebanon intensified. On 11 March 1978, a commando attack in Israel resulted in many dead and wounded among the Israeli population; the Palestine Liberation Organization (PLO) claimed responsibility for that raid. In response, Israeli forces invaded Lebanon on the night of 14/15 March, and in a few days occupied the entire southern part of the country except for the city of Tyre and its surrounding area. On 15 March 1978, the Lebanese Government submitted a strong protest to the Security Council against the Israeli invasion, stating that it had no connection with the Palestinian commando operation. On 19 March, the Council adopted resolutions 425 (1978) and 426 (1978), in which it called upon Israel immediately to cease its military action and withdraw its forces from all Lebanese territory. It also decided on the immediate establishment of the United Nations Interim Force in Lebanon (UNIFIL). The first UNIFIL troops arrived in the area on 23 March 1978. Resolution 425 (1978) established two requirements. First, the Security Council called for strict respect for the territorial integrity, sovereignty and political independence of Lebanon within its internationally recognized boundaries. Second, the Security Council called upon Israel immediately to cease its military action against Lebanese territorial integrity and withdraw forthwith its forces from all Lebanese territory. In June 1982, after intense exchange of fire in southern Lebanon and across the Israel-Lebanon border, Israel invaded Lebanon again, reaching and surrounding Beirut. For three years, UNIFIL remained behind the Israeli lines, with its role limited to providing protection and humanitarian assistance to the local population to the extent possible. In 1985, Israel carried out a partial withdrawal, but it retained control of an area in southern Lebanon manned by the Israel Defence Forces (IDF) and by Lebanese de facto forces (DFF), the so-called "South Lebanon Army" (SLA). Hostilities continued between Israeli and auxiliary forces on the one hand, and Lebanese groups who proclaimed their resistance against the Israeli occupation on the other. Over the years, the Security Council maintained its commitment to Lebanon's territorial integrity, sovereignty and independence, while the Secretary-General continued his efforts to persuade Israel to leave the occupied zone. Israel maintained that the zone was a temporary arrangement governed by its security concerns. Lebanon demanded that Israel withdraw, viewing the occupation as illegal and contrary to United Nations resolutions. Although UNIFIL was prevented from fulfilling its mandate, the Force used its best efforts to limit the conflict, contribute to stability in the region and protect the population of the area from the worst effects of the violence. Despite the impasse, the Security Council has repeatedly extended the mandate of UNIFIL at the request of the Government of Lebanon and on the recommendation of the Secretary-General. A tragic event happened in UNIFIL’s area of deployment in April 1996 when more than 120 Lebanese civilians were killed by Israeli fire and an estimated 500 were wounded. Most of these casualties occurred on 18 April as a result of the shelling of a UN compound at Qana. Four UN soldiers were also wounded and there was extensive damage. This incident was the subject of an investigation by the Secretary-General’s Military Adviser, whose report was conveyed to the Security Council on 7 May 1996. On 17 April 2000, the Secretary-General received formal notification from the Government of Israel that it would withdraw its forces from Lebanon by July 2000 "in full accordance with Security Council resolutions 425 (1978) and 426 (1978)". He was further informed that in so doing the Government of Israel intended "to cooperate fully with the United Nations". The Secretary-General informed the Security Council of this notification on the same day, stating that he had initiated preparations to enable the United Nations to carry out its responsibilities under those resolutions. On 20 April, the Councilendorsed the Secretary-General's decision to initiate those preparations. As a first step, the Secretary-General sent his Special Envoy, Terje Roed-Larsen (Norway), together with the Force Commander of UNIFIL and a team of experts, to meet with the Governments of Israel and Lebanon and concerned Member States in the region, including Egypt, Jordan and the Syrian Arab Republic. The delegation also met with the PLO and the League of Arab States. During the mission, United Nations cartographic, legal and military experts examined the technical issues that would need to be addressed in the context of the implementation of resolution 425 (1978). Parallel to that mission, which took place between 26 April and 9 May 2000, the Secretary-General consulted with interested Member States, including those contributing troops to UNIFIL. Starting on 16 May, much sooner than anticipated, IDF/DFF began to vacate its positions, amid exchange of fire. Beginning on 21 May, large crowds of Lebanese, accompanied by armed elements, entered villages in the Israeli-controlled area, and IDF/DFF vacated their position in great haste. At the same time, a large number of the de facto forces, together with their families, crossed into Israel. Others surrendered to the Lebanese authorities. Within a few days, those forces had completely disbanded. On 25 May, the Government of Israel notified the Secretary-General that Israel had redeployed its forces in compliance with Security Council resolutions 425 (1978) and 426 (1978). The requirements and tasks related to the implementation of those resolutions in the new circumstances were outlined in the Secretary-General's report of 22 May and endorsed by the Security Council on 23 May. From 24 May to 7 June, the Special Envoy travelled to Israel, Lebanon and the Syrian Arab Republic to follow up on the implementation of the Secretary-General's 22 May report. The United Nations cartographer and his team, assisted by UNIFIL, worked on the ground to identify a line to be adopted for the practical purposes of confirming the Israeli withdrawal. While this was not a formal border demarcation, the aim was to identify a line on the ground conforming to the internationally recognized boundaries of Lebanon, based on the best available cartographic and other documentary evidence. The work was completed on 7 June. A map showing the withdrawal line was formally transmitted by the Force Commander of UNIFIL to his Lebanese and Israeli counterparts. Notwithstanding their reservations about the line, the Governments of Israel and Lebanon confirmed that identifying this line was solely the responsibility of the United Nations and that they would respect the line as identified. On 8 June, UNIFIL teams commenced the work of verifying the Israeli withdrawal behind the line. On 16 June, the Secretary-General reported to the Security Council that Israel had withdrawn its forces from Lebanon in accordance with resolution 425 (1978) and met the requirements defined in his report of 22 May 2000 -- namely, Israel had completed the withdrawal in conformity with the line identified by the United Nations, DFF/SLA had been dismantled, and all detainees held at Al-Khiam prison had been freed. The Secretary-General said that the Government of Lebanon had moved quickly to re-establish its effective authority in the area through the deployment of its security forces, and had informed the United Nations that it would send a composite force composed of army and internal security personnel to be based in Marjayoun. It also stated that it would consider deploying its armed forces throughout southern Lebanon following confirmation by the Secretary-General of Israel's withdrawal. The Secretary-General noted that the deployment of the armed forces was an essential element of the return of the effective authority of the Government in the area. This deployment should be conducted in coordination with UNIFIL's redeployment in its area of operations. On 18 June, the Security Council welcomed the Secretary-General's report and endorsed the work done by the United Nations. The Council, inter alia, called on all parties concerned to cooperate with the United Nations and to exercise the utmost restraint. It also noted that the United Nations could not assume law and order functions that were properly the responsibility of the Lebanese Government. The Council welcomed the Government's first steps in that regard, and called on it to proceed with the deployment of its armed forces into the Lebanese territory vacated by Israel as soon as possible, with the assistance of UNIFIL. Following the verification of the Israeli withdrawal, UNIFIL found a number of violations, where the Israeli technical fence crossed the withdrawal line and the Israel Defence Forces used patrol tracks that also crossed the line. This halted the deployment of UNIFIL and the Lebanese troops to the vacated areas. The Security Council has been kept informed of those violations. The Government of Lebanon has stated that it would consent to the deployment of UNIFIL to the vacated areas only after the Israeli violations had been corrected. It would then also deploy additional troops and internal security forces to the area. From 17 to 23 June, the Secretary-General visited the region, where he met with several leaders, including leaders of Israel and Lebanon. The main topic of their discussion was the implementation of Security Council resolution 425 (1978). The Special Envoy followed up on those discussions in meetings with the Israeli and Lebanese authorities from 6 to 14 July. The Government of Israel committed itself to the removal of all Israeli violations of the withdrawal line by the end of July 2000. The situation in the area of UNIFIL operation remained generally calm. The Lebanese army, gendarmerie, and police established checkpoints in the vacated area, controlling movement and maintaining law and order. The Lebanese army retrieved heavy weapons abandoned by IDF/DFF. UNIFIL patrolled the area and, together with the Lebanese authorities, provided humanitarian assistance by supplying water, medical treatment and food to needy families. UNIFIL also assisted former members of the de facto forces and their families who decided to return from Israel to Lebanon. The Force monitored the line of withdrawal on a daily basis, by means of ground and air patrols. It examined possible violations from both sides of the line, as many of the areas could only be accessed from the Israeli side, owing to the presence of mines and unexploded ordnance on the Lebanese side. The Force's liaison arrangements provided a constant link with the Chief of Operations of the Israel Defence Forces and the Director of Lebanese General Security, as well as with the normal chain of command on each side. Any violations of the withdrawal line were immediately brought to the attention of the side concerned. In his report, submitted to the Security Council on 20 July 2000, the Secretary-General stated that southern Lebanon had seen dramatic change. The Israeli forces had left, their local Lebanese auxiliary had been disbanded, and after more than two decades the guns had fallen silent. He warned, however, that while there had been enormous improvement, the situation in the Israel-Lebanon sector fell well short of peace, and the potential for serious incidents still existed. Therefore, both sides should maintain effective liaison with UNIFIL and take prompt action to rectify any violations or incidents brought to their attention. In a letter addressed to the Secretary-General on 11 July, the Permanent Representative of Lebanon conveyed his Government's request that the Security Council extend the mandate of UNIFIL for a further interim period of six months, that is until 31 January 2001. In his 20 July report, the Secretary-General recommended that the Council accede to this request, on the understanding that the Force would be enabled to deploy and function fully throughout its area of operation, and that the Lebanese authorities would strengthen their own presence in the area by deploying additional troops and internal security forces. The UNIFIL deployment must be closely coordinated with that of the Lebanese forces. There was a "good chance", the Secretary-General said, to achieve in the coming months the objectives of Security Council resolution 425 (1978) and for UNIFIL to complete the tasks originally assigned to it. He said he would report to the Security Council by the end of October on the latest developments. The Secretary-General also called for increased foreign aid to Lebanon, noting that the reintegration of the southern area would impose a heavy burden on Lebanon and that the clearance of landmines and unexploded ordnance would be a "vast task" requiring international assistance. "I should like to encourage Member States to cooperate with the Government of Lebanon and the United Nations agencies and programmes in support of the reconstruction and development of the area, not only for its own sake but as an important contribution to stability in this potentially still volatile part of the world." On 24 July, further to his report of 20 July, the Secretary-General informed the Security Council that the Israeli authorities had removed all violations of the line of withdrawal. On the same day, in a meeting with the Secretary-General's Special Envoy, Lebanese President Emile Lahoud and Prime Minister Selim el-Hoss gave their consent to the full deployment of UNIFIL. The Force's deployment was scheduled to take place on 26 July and was to be immediately followed by the deployment to the formerly Israeli-controlled area of the composite Lebanese unit, comprising army and internal security personnel. On 27 July, the Security Council decided to extend the mandate of UNIFIL until 31 January 2001. Unanimously adopting resolution 1310 (2000), the Council called on the Government of Lebanon to ensure the return of its effective authority and presence in the south, and, in particular, to proceed with a significant deployment of the Lebanese armed forces as soon as possible. It also reaffirmed that the expected redeployment of UNIFIL should be conducted in coordination with the Government of Lebanon and the Lebanese armed forces, and re-emphasized its terms of reference and general guidelines as stated in the report of the Secretary-General of 19 March 1978, approved by resolution 426 (1978). Welcoming the statement of the Secretary-General that as of 24 July the Government of Israel had removed all violations of the withdrawal line, the Council called on the parties to respect that line, to exercise utmost restraint and to cooperate fully with the United Nations and with UNIFIL. Reiterating its strong support for the territorial integrity, sovereignty and political independence of Lebanon within its internationally recognized boundaries, the Council stressed the importance of, and the need to achieve, a comprehensive, just and lasting peace in the Middle East, based on all its relevant resolutions. 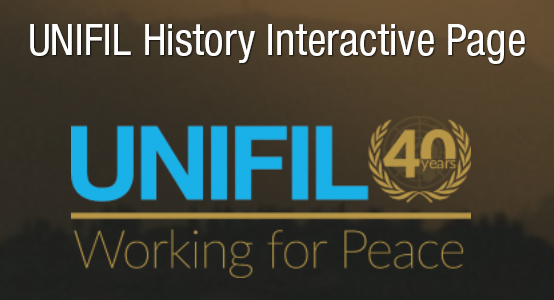 In the report of 22 May, the Secretary-General described the additional means required by UNIFIL to carry out its tasks under resolutions 425 (1978) and 426 (1978) following the Israeli withdrawal. He stated that UNIFIL would require phased reinforcement to carry out its responsibilities in the light of the security situation in southern Lebanon, as well as taking into account the additional territory that it would have to cover following the Israeli withdrawal. The total troop strength for carrying out the tasks related to confirming the withdrawal would increase from the previous level of 4,513 to approximately 5,600. Once the Israeli withdrawal was confirmed, the May report said, UNIFIL would have to be reinforced bringing its strength to a total of eight battalions plus appropriate support units, or approximately 7,935 peacekeepers. In his further report, submitted to the Security Council on 20 July, the Secretary-General said that the first phase of the reinforcement of UNIFIL was under way. In June, the mine-clearance capacity of UNIFIL was reinforced with two units from Sweden and Ukraine. In addition, an engineer battalion of 600 all ranks from Ukraine was scheduled to arrive in UNIFIL by the end of July. The units from Finland, Ghana, Ireland and Nepal had been reinforced; and Fiji and India had also undertaken to reinforce their units. At the same time, the Secretary-General informed the Council that the United Nations had yet to receive commitments for the additional two infantry battalions that would meet the requirements, namely a high degree of self-sufficiency and the capability to deploy to the mission area using national assets. In the absence of these reinforcements, the Force Commander of UNIFIL had devised a deployment plan using existing resources and reinforcements to cover the area vacated by the Israel Defence Forces, through a combination of mobile patrols, patrol bases and temporary observation posts. From the end of July until early October 2000, the situation in the UNIFIL area of operations was generally calm, except for numerous minor violations of the line of withdrawal, the so-called Blue Line. A serious incident occurred on 7 October. In the context of the tension in the Occupied Territories and Israel, about 500 Palestinians and supporters approached the line south of Marwahin to demonstrate against Israel. As the crowd attempted to cross the Israeli border fence, Israeli troops opened fire, killing three and injuring some 20. Since then, the Lebanese authorities have prevented further demonstrations by Palestinians on the line. Later the same day, in a serious breach of the ceasefire, Hizbollah launched an attack across the Blue Line about 3 kilometres south of Shaba and took three Israeli soldiers prisoner. On 20 October, three Palestinians crossed the Blue Line east of Kafr Shuba and tried to break through the Israeli technical fence, which runs some distance behind the line. The Israeli forces responded with heavy fire. One of the three was killed; the others managed to get away. On 9 August the Lebanese Government deployed a Joint Security Force of 1,000 all ranks, which was drawn from the Internal Security Forces and the Lebanese army. The Force established its headquarters in Marjayoun and Bint Jubayl and began intensive patrolling, with occasional roadblocks. Lebanese security services established a strong presence in Naqoura, and the Lebanese police resumed operations in key villages. The Lebanese army deployed in mid-September in the Jezzine area, which the de facto forces had vacated in January. Lebanese administrators, police, security and army personnel function throughout the area, and their presence and activities continued to grow. They began re-establishing local administration in the villages and have made progress in re-integrating the communications, infrastructure, health and welfare systems with the rest of the country. In late August the former Israeli-controlled area participated, for the first time since 1972, in a parliamentary election. However, near the Blue Line the authorities have, in effect, left control to Hizbollah. Its members worked in civilian attire and were normally unarmed. They monitored the Blue Line, maintained public order and, in some villages, provided social, medical and education services. The Government of Lebanon took the position that, so long as there was no comprehensive peace with Israel, the army would not act as a border guard for Israel and would not be deployed to the border. UNIFIL monitored the area through ground and air patrols and a network of observation posts. It acted to correct violations by raising them with the side concerned, and used its best efforts, through continuous, close liaison with both sides, to prevent friction and limit incidents. However, UNIFIL has not been able to persuade the Lebanese authorities to assume their full responsibilities along the Blue Line. At the end of July and in early August UNIFIL redeployed southwards and up to the Blue Line. The redeployment proceeded smoothly, with the Lebanese authorities assisting in securing land and premises for new positions. At the same time, in order to free the capacity needed for the move south, UNIFIL vacated an area in the rear and handed it over to the Lebanese authorities. The clearance of mines and unexploded ordnance was an important concern, especially in connection with the redeployment. UNIFIL also assisted in humanitarian demining activities and set up an information management system for mine action. In Tyre, Lebanon, a regional mine action cell was established with the help of the United Nations Mine Action Service, which cooperated closely with the Lebanese national demining office. Reporting in October 2000 "tangible progress" in Lebanon's efforts to restore services to the territory vacated by Israel, the Secretary-General stressed the need for the Lebanese Government to take effective control of the whole area and assume full responsibilities there, including putting an end to continuing provocations on the Blue Line. Pointing to a clear sequence of steps spelled out in the underlying 1978 Security Council resolution 425 on Lebanon, he noted that after the restoration of the effective authority by Lebanon, both the Lebanese and Israeli Governments are to be fully responsible, in accordance with their international obligations, for preventing any hostile acts from their respective territory against that of their neighbour. "I believe that the time has come to establish the state of affairs envisaged in the resolution," the Secretary-General wrote in reference to resolution 425. Underscoring the need for the Government of Lebanon to assert its authority over the entire area from which Israel had withdrawn, the Secretary-General warned that otherwise "there is a danger that Lebanon may once again be an arena, albeit not necessarily the only one, of conflict between others." Security Council members met to discuss the situation in South Lebanon on 14 November. In a Presidential statement to the press issued on the same day, the Council called for an end to the "dangerous violations that have continued" along the Blue Line. It agreed with the conclusions of the Secretary-General that although there had been "tangible progress" in implementing resolution 425, "it was required that the Government of Lebanon take effective control of the whole area vacated by Israel last spring and assume its full international responsibilities". The Secretary-General further reported to the Security Council on 22 January 2001. In the report, he gave an overview of the situation in the mission's area of operations, made suggestions for reconfiguring the Force and recommended further extending its mandate for a period of six months. According to the report, the situation in UNIFIL's area of operation remained generally stable, although there were numerous minor violations of the Blue Line. Such violations were largely the result of Israeli construction work on a technical fence along the line, of crossings by Lebanese shepherds and sometimes crossings by vehicles in places where the Israeli fence was some distance from the line. There were, however, occasional incidents at certain sensitive locations and five serious breaches of the line. The overall security situation in UNIFIL's area of operation remained good, and had further improved since October, the report stated. Residents who were away during the Israeli occupation continued to return. In addition, former members of the former de facto forces and their families (about 1,600 in all) returned to Lebanon. Speaking of the reconfiguration of the United Nations presence in south Lebanon, the Secretary-General stated that of the three parts of its mandate, UNIFIL had essentially completed two. It confirmed the withdrawal of Israeli forces and assisted, to the extent it could, the Lebanese authorities as they returned to the area vacated by Israel. UNIFIL continued to function in close cooperation with those authorities and no longer exercised any control over the area of operation. The Lebanese Government, however, still did not deploy its personnel down to the Blue Line. UNIFIL focused on the remaining part of its mandate: the restoration of international peace and security, the report continued. Pending a comprehensive peace, UNIFIL sought at least to maintain the ceasefire along the Blue Line, through patrols and observation from fixed positions and close contact with the parties, with a view to correcting violations and preventing the escalation of incidents. The Secretary-General believed that the need for the United Nations to perform such functions would continue to exist in the foreseeable future. These functions, the Secretary-General wrote, were those of an observer mission. However, in view of the conditions in the region, he stated that he would be reluctant to entrust the task to unarmed observers alone, and would recommend instead a combination of armed infantry and unarmed observers. He suggested two infantry battalions, a group of UNTSO observers and support. In view of the tense situation in the region, a prudent approach is appropriate, the Secretary-General stated. Should the Security Council opt for the suggested configuration, it might consider proceeding in stages. A possible first stage might be to return UNIFIL to the strength it had before the augmentation last year, that is, to about 4,500 all ranks. He then noted that Lebanon requested that the Council extend the mandate of UNIFIL for a further period of six months. In the light of the conditions prevailing in the area, the Secretary-General supported the extension and recommended that the Council extend UNIFIL's mandate until 31 July 2001. On 30 January 2001, the Security Council, by its resolution 1337 (2001), decided to extend UNIFIL for a further period of six months. It also decided to return the authorized military strength of the Force UNIFIL to its previous operational level (4,500 all ranks) by 31 July 2001. The Council endorsed the general approach for reconfiguration of UNIFIL, and requested the Secretary-General to submit to the Council a detailed report by 30 April 2001 on UNIFIL reconfiguration plans and on the tasks that could be carried out by UNTSO. By other terms of the resolution, the Council called on the Government of Lebanon to ensure the return of its effective authority and presence in the south, and in particular to increase the rate of the deployment of its armed forces. It encouraged the Government of Lebanon to ensure a calm environment throughout the south, including through the control of all checkpoints. The Council condemned all acts of violence, expressed concern about the serious breaches and violations of the withdrawal line and urged the parties to put an end to them, and urged respect for the safety of UNIFIL personnel. The Council also reiterated its strong support for the territorial integrity, sovereignty and political independence of Lebanon within its internationally recognized boundaries. As requested, on 30 April, the Secretary-General submitted recommendations to the Security Council for reconfiguration of UNIFIL. In the report to the Council, he noted that pending a comprehensive peace, the Force would concentrate on maintaining the ceasefire along the Blue Line, including through close contact with the parties aimed at correcting violations and preventing any escalation. In view of the conditions in the region, the Secretary-General recommended that UNIFIL function with a combination of armed infantry and unarmed observers. As of 31 March, the Force was comprised of over 5,700 troops. The reconfiguration envisaged in the report called for deploying most troops in protected positions close to the Blue Line, while leaving UNIFIL headquarters in Naqoura covered by a separate guard. The demining unit would also be maintained. Through a gradual reduction, the Force would eventually comprise 2,000 all ranks, including troops from France, Ghana, India, Italy, Poland and Ukraine. The reconfiguration would be achieved in the course of normal troop rotations. The Secretary-General proposed that the Force maintain a strength of about 3,600 until January 2002. He added that "unless there is any drastic change in the region," the reconfiguration could be completed by the end of July 2002. The Secretary-General further reported to the Security Council on 20 July 2001. According to the report, the situation during the period from January to July 2001 had been generally stable, with the exception of ongoing tensions and breaches of the Blue Line connected with the dispute over the Shab'a Farms area. There continued to be numerous minor ground violations, those from the Israeli side largely attributable to the construction of a fence along the line. Those from the Lebanese side amounted to crossings by shepherds and occasional vehicles. Regarding air violations, the report stated that Israeli aircraft violated the line on an almost daily basis, penetrating deep into Lebanese airspace. The report further described several incidents, including demonstrations on the Lebanese side, exchanges of fire between Israeli soldiers and Hizbollah, and destruction of a Syrian army radar position in the Bekaa Valley. Also according to the report, the Government of Lebanon continued to maintain the position that, as long as there is no comprehensive peace with Israel, the Lebanese armed forces would not be deployed along the Blue Line. Areas along the Blue Line were monitored by Hizbollah through a network of mobile and fixed positions. Sometimes, Hizbollah acted as surrogate for the civil administration by extending social, medical and educational services to the local population. On several occasions, Hizbollah personnel restricted the freedom of movement of UNIFIL and interfered with its redeployment. The focus of UNIFIL operations remained on the Blue Line and the adjacent area, where UNIFIL sought to maintain the ceasefire through patrols, observation from fixed positions and close contact with the parties. The mission continued to assist the civilian population in the form of medical care, water projects, equipment or services for schools and orphanages and supplies of social services to the needy. Clearance of mines and unexploded ordnance in southern Lebanon gained additional momentum. The document further reported a controversy that arose between the Israeli authorities and the United Nations over a UNIFIL videotape, filmed on 8 October 2000, of vehicles that may have been used by Hizbollah in the abduction of three Israeli Defence Force soldiers on 7 October 2000. Israel and Lebanon were offered the opportunity to view the tape, with the identities of non-United Nations personnel obscured, on United Nations premises. An investigation was initiated into the internal handling of the matter. Regarding the reconfiguration and redeployment of UNIFIL, the report stated that as of 1 August 2001 the Force would return to a strength of around 4,500 and would be composed of troops from Fiji, Finland, France, Ghana, India, Ireland, Italy, Nepal, Poland and Ukraine. The departure of the Irish and Finnish contingents in the autumn would bring the strength of the Force to about 3,600. The UNIFIL was assisted in its tasks by 51 military observers of the United Nations Truce Supervision Organization (UNTSO). The Secretary-General concluded that as the incidents in the area had the potential to threaten the stability of the region, it was of paramount importance that all parties concerned respect the Blue Line, cease all violations thereof and desist from any action that could serve to destabilize the situation. The Lebanese Government should take more steps to ensure the return of effective Lebanese authority throughout the south, including the deployment of its army. A more energetic and concerted effort to restore basic services to the population, and the full return of the local administration, should be integral to this process. In the light of conditions prevailing in the area, the Secretary-General recommended that the Security Council extend the mandate of UNIFIL until 31 January 2002. On 31 July, the Council extended the mandate of the Force as recommended, while calling for a continued reconfiguration of the Force in response to prevailing conditions. In its resolution 1365 (2001), the Council requested the Secretary-General to continue taking the necessary measures to implement the reconfiguration and redeployment of the Force "in the light of developments on the ground and in consultation with the Government of Lebanon and the troop-contributing countries." The Council called on the parties to respect fully the withdrawal line, to exercise utmost restraint and to cooperate fully with the United Nations. Condemning all acts of violence, the Council expressed great concern about the serious breaches and the air, sea and land violations of the withdrawal line, and urged the parties to put an end to them and to respect the safety of the UNIFIL personnel. The parties were also called on to ensure that UNIFIL is accorded full freedom of movement throughout its area of operation. Looking to the broader quest for an end to the violence in the region, the text stressed the need to achieve a comprehensive, just and lasting peace in the Middle East, based on all of the Council's relevant resolutions. By other provisions, the Council called on the Lebanese Government to ensure the return of its effective authority throughout the south, including through the deployment of the country's armed forces there. The Government was also encouraged to ensure a calm environment in the area. Concerning the problem of landmines, the Council welcomed UNIFIL's efforts to cope with the problem and encouraged the UN to provide Lebanon with further assistance in mine action. The Council also stressed "the necessity to provide the Government of Lebanon and UNIFIL with any additional maps and records on the location of mines." In his further report on UNIFIL dated 16 January 2002, the Secretary-General said that the UNIFIL area of operation had continued to be generally calm, with low incident and tension levels recorded since his July 2001 report. The focus of UNIFIL operations remained on the Blue Line and the adjacent area, with UNIFIL working with the parties to avert or correct violations and to defuse tensions. According to the report of the Secretary-General, serious breaches of the ceasefire in the Shab'a farms area remained a cause of concern. On 3 October, Hezbollah fired 18 missiles and 33 mortar rounds at two positions of the Israeli Defence Forces (IDF) on the line south-east of Kafr Shuba. On 22 October, Hezbollah fired 10 missiles and 61 mortar rounds at five IDF positions in the same vicinity. In both instances, the IDF responded with heavy artillery and mortar fire to the Lebanese side of the line in the same vicinity, in the latter case also dropping two air-to-ground missiles. There were no casualties from either incident. Of equal concern, stated the Secretary-General, were Israeli air violations of the Blue Line, which continued on an almost daily basis, penetrating deep into Lebanese airspace. These incursions were not justified and caused great concern to the civilian population, particularly low-altitude flights that break the sound barrier over populated areas. The air violations were ongoing, although démarches to the Israeli authorities, calling on them to cease the overflights and to fully respect the Blue Line, had been made repeatedly by the United Nations, including by the Secretary-General, and a number of interested governments. The Secretary-General once again stressed the critical need for all parties concerned to respect the Blue Line, as repeatedly called for by the Council, to cease all violations, and to refrain from action that could serve to destabilize the situation. The Government of Lebanon continued to take additional steps to restore its effective authority throughout the south, but this was limited to strengthening the presence of security forces and supporting the local administration, and did not include additional deployment of the Lebanese army. The Government continued to let Hezbollah operate close to the Blue Line. The Secretary-General also drew attention to the fact that, on several occasions, Hezbollah personnel interfered with the freedom of movement of UNIFIL. Although freedom of movement was re-established after UNIFIL brought specific restrictions to the attention of the Lebanese authorities, the restrictions are recurrent. The Secretary-General again urged the Lebanese Government to take more steps to extend its authority to all of southern Lebanon, as called for by the Council, stressing that it should make a more concerted effort to take full responsibility for the provision of basic services to the population and for the deployment of the army. Addressing the reconfiguration of UNIFIL, which had now assumed the functions of an observer mission, the Secretary-General recommended that the Force be stabilized at a strength of close to 2,000 (all ranks) by the end of 2002. A reconfigured Force would continue to contribute to stability in southern Lebanon by monitoring and observing along the Blue Line. The Secretary-General stated that progress had also been achieved in discussions between the United Nations and Israel on issues connected to the UNIFIL videotapes of events related to the abduction by Hezbollah of three Israeli soldiers on 7 October 2000 (see above). The Secretary-General recommended that the Security Council extend UNIFIL's mandate until 31 July 2002. On 28 January 2002, the Council extended the mandate of the Force by a further six months, condemning all acts of violence and expressing great concern about the serious violations of the withdrawal line separating Lebanese and Israeli forces. Through the unanimous adoption of resolution 1391 (2002), the Council urged the parties to put an end to those violations and respect the safety of UNIFIL personnel. It supported the continued efforts of the Force to maintain the ceasefire along the withdrawal line and to correct violations, resolve incidents and prevent their escalation. In a related provision, the Council requested the Secretary-General to take the necessary measures to implement the reconfiguration of UNIFIL as outlined in his report and in accordance with the letter of the Council President of 18 May 2001, in the light of developments on the ground and in consultation with the Government of Lebanon and the troop-contributing countries. The Council again called on the Lebanese Government to continue to take steps to ensure the return of its effective authority throughout the south, including the deployment of Lebanese armed forces. It encouraged the Government to ensure a calm environment in the south. In his report on the Force dated 12 July 2002, the Secretary-General said that tensions increased in that mission's area of operation over the past six months (from 17 January to 12 July 2002), with an outbreak of violent incidents across the Blue Line during the first two weeks of April surpassing any activity since the Israeli withdrawal from Lebanon in May 2000. Those events coincided with the substantial escalation of tension in Israel and the occupied Palestinian territory. Militant activities were carried out by Hezbollah, as well as Palestinian and unidentified elements both inside and outside the Shab'a farms area. Also, throughout most of the reporting period, unjustified Israeli incursions into sovereign Lebanese airspace continued on an almost daily basis, often penetrating deep into Lebanon. Those events have underscored the fragility of the situation and demonstrated how readily tensions could escalate. The report further stated that the United Nations Special Coordinator for the Middle East Peace Process, Terje Roed-Larsen, and the Secretary-General's Personal Representative for southern Lebanon, Staffan de Mistura, engaged in concerted diplomatic activity to de-escalate the violence, the report further stated. The UNIFIL increased its patrols, and its Commander intervened personally with the parties on the ground to contain incidents. Key members of the international community were also active in urging the parties to exercise restraint. Violations of the Blue Line, whether they entail a physical crossing of the line or skirting it, could not be justified, the Secretary-General stated. The Government of Lebanon, however, continued to maintain the position that, as long as there was no comprehensive peace with Israel, the Lebanese armed forces would not be deployed along the Blue Line. In that vacuum, Hezbollah maintained its visible presence near the line through its network of mobile and fixed positions, also continuing to extend social, medical and educational services to the local population in areas near the Blue Line. The Secretary-General also remained concerned about the restriction of movement on UNIFIL personnel, who must be able to carry out their mandate. In the most serious incident, on 4 April, about 15 Hezbollah personnel forced an Observer Group Lebanon patrol south-west of Kafr Shuba to stop at gunpoint and assaulted the observers with rifle butts, injuring three, one seriously. The Secretary-General informed the Council that planning for the reconfiguration of UNIFIL proceeded during the period under review. The next phase of the reduction and redeployment was commencing at the time of writing of the report, with the repatriation and non-replacement of about 135 Ukrainian troops. Owing to operational exigencies, the first planned reduction of the Fijian contingent scheduled for June was postponed till August. That technical adjustment to the schedule did not, however, otherwise affect the timetable set forth in the Secretary-General's previous report (S/2002/55). The Force would be stabilized at a strength of 2,000 by the end of 2002. In the light of conditions prevailing in the area, the Secretary-General recommended to the Security Council to extend the mandate of UNIFIL until 31 January 2003. On 30 July 2002, the Council, stressing the need to achieve a comprehensive, just and lasting peace in the Middle East based on all its relevant resolutions, decided to extend the mandate of the Force until 31 January 2003. By its unanimous adoption of resolution 1428 (2002) , the Council condemned all acts of violence. Expressing great concern over the serious breaches, as well as the air, sea and land violations of the withdrawal line, the Council urged the parties to put an end to those violations and abide scrupulously by their obligation to respect the safety of UNIFIL and other United Nations personnel. In a related provision, the Council called on the parties to ensure UNIFIL is accorded full freedom of movement in the discharge of its mandate throughout its area of operation. Council members expressed support for the continued efforts of UNIFIL to maintain the ceasefire along the withdrawal line and to resolve incidents and prevent escalations. The Council encouraged the Government of Lebanon to ensure a calm environment throughout the south, and commended the steps it had taken to ensure the return of its effective authority throughout that region, including the deployment of Lebanese armed forces, and called on it to continue those measures. In his further report on UNIFIL dated 14 January 2003, the Secretary-General said that the UNIFIL area of operation had been calm for the most part, with a substantial reduction in the number of incidents relative to the last report. Tension, however, continued to prevail. This tension was demonstrated most visibly by the unresolved Hasbani River matter, as well as the provocative cycle of Israeli air violations and Hezbollah anti-aircraft fire. The Shab'a farms area also remained a significant source of concern. Each violation of the Blue Line and any provocation emanating from either side risked escalation of tensions and descent into confrontation, stated the report. The Secretary-General once again emphasized the need for all parties concerned to fully respect the withdrawal line identified by the United Nations, to cease all violations of the Line and to refrain from any action that could serve to destabilize the situation on the ground. The implementation of the Secretary-General's recommendations to the Council for reconfiguration of UNIFIL was completed at the end of 2002, the report continued. At that stage, no further reduction to the current Force level of 2,000 was envisaged. 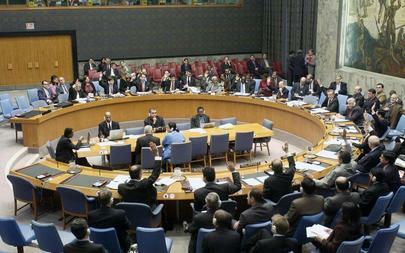 The Secretary-General recommended that the Security Council extend the Mission's mandate until 31 July 2003. By unanimously adopting resolution 1461 (2003), the Council extended UNIFIL's mandate accordingly. It also condemned all acts of violence, expressed great concern about the serious breaches and the air, sea and land violations of the withdrawal line, and urged the parties to put an end to those violations, and to abide scrupulously by their obligation to respect the safety of UNIFIL and other United Nations personnel. In addition, the Council reiterated its call on the parties to continue to fulfil the commitments they have given to respect fully the withdrawal line identified by the United Nations. It also supported the continued efforts of UNIFIL to maintain the ceasefire along the withdrawal line through mobile patrols and observation from fixed positions and through close contacts with the parties to correct violations, resolve incidents and prevent their escalation. The Council also commended the Lebanese Government for taking steps to ensure the return of its effective authority throughout the south, including the deployment of Lebanese armed forces. It called on the Government to continue these measures and to do its utmost to ensure a calm environment throughout the south. In his report on UNIFIL dated 23 July 2003 and covering the period since 15 January, the Secretary-General observed that "almost six months have passed since the last violent exchange across the Blue Line, the longest period of relative calm since Israel withdrew from Lebanon more than three years ago after 22 years of occupation." An additional indicator of stabilization in southern Lebanon has been the success of demining efforts. "Nevertheless, tension between Israel and Lebanon remains high and the relative calm along the Blue Line is an uneasy one," he noted. The most significant sources of tensions were the persistent Israeli violations of Lebanese airspace and the Hezbollah anti-aircraft fire directed towards Israeli villages. Stressing the need for both parties to refrain from any action that could destabilize the situation on the ground, the Secretary-General warned: "Both the air incursions and the fire violations carry substantial potential for escalation." The Secretary-General noted that the Lebanese Government had demonstrated its capacity to increase its authority throughout southern Lebanon, particularly through the activities of the Joint Security Forces and the Lebanese Army. He added that, consistent with Security Council resolution 425 (1978), Lebanon should continue to deploy its armed forces to extend its control over the south. The Secretary-General, who recommended a six-month extension of the UNIFIL mandate, said the Mission would continue to contribute to the restoration of peace and security through observing, monitoring and reporting on developments in its area of operation, liaising with the parties to maintain calm. The Security Council, by adopting its resolution 1496 (2003) of 31 July, extended the mandate of the UNIFIL until 31 January 2004. The Council urged the parties to end the serious breaches and the air, sea and land violations of the withdrawal line and to abide by their obligation to respect the safety of UNIFIL and other United Nations personnel. Welcoming the steps taken by the Lebanese Government to ensure the return of its effective authority throughout the south of the country, the Council called on it to continue to extend those measures and to do its utmost to ensure a calm environment throughout the south. Applauding the progress in demining efforts, the Council stressed the need to provide the Lebanese Government and UNIFIL with any additional maps and records on the location of mines. Further, the Council stressed the importance of, and the need to achieve, a comprehensive, just and lasting peace in the Middle East, based on all its relevant resolutions, including resolution 242 (1967) and 338 (1973), and looked forward to the early fulfilment of UNIFIL's mandate. Security Council Extends the Mandate of UNIFIL. 31 July 2004. In his report dated 20 January 2004 and covering the period since 24 July 2003, the Secretary-General said that the relative calm that had prevailed in the first half of the year gave way to renewed exchanges of fire in the Shab’a farms area. Air strikes and shooting incidents across the Blue Line resulted in the deaths of three Israelis, two soldiers and a civilian, and three Lebanese civilians. The persistent Israeli violations of Lebanese airspace and several instances of Hizbollah anti-aircraft fire directed towards Israeli villages contributed significantly to the tension. Landmines, he said, remained a matter of serious concern. However, collaboration between the United Nations and various partners continued to yield impressive results in southern Lebanon. A further half million square metres of previously contaminated land was returned to productive usage and a further 20,000 landmines were located and destroyed, bringing the total area of land cleared to approximately 4.8 million square metres. Progress also continued in the areas of assistance to the civilian population and the integration of the formerly occupied zone with the rest of the country, including infrastructure, health and welfare systems, as well as postal services and communications. The Security Council, in its resolution 1525 (2004) of 30 January 2004 extended the mandate of UNIFIL until 31 July 2004. In his report dated 21 July 2004 and covering the period since 21 January, the Secretary-General described the situation in south Lebanon as being “replete with contradictions”. While both Israel and Lebanon proclaimed their aspirations to avoid destabilization of the area, only one month passed without confrontation. He appealed to all sides to rein in their forces. "I cannot stress enough the need for the parties to abide by their obligations under the relevant Security Council resolutions, to respect the withdrawal line in its entirety and to exercise the utmost restraint." The Secretary-General also voiced deep concern that “ Israel persists in its provocative and unjustified air violations of sovereign Lebanese territory. Hezbollah's retaliatory firing of anti-aircraft rounds across the Blue Line "is a violation that poses a direct threat to human life", he added. The Secretary-General warned that considerable risk remained that hostile acts would escalate and lead the parties into conflict and recommended extending UNIFIL for an additional six months. On the positive side, the report noted that the whole of southern Lebanon -- including all villages in the formerly Israeli-occupied zone down to the Blue Line -- successfully took part in municipal elections. Hailing this development as "a clear assertion of the exercise of authority by the Government of Lebanon", the Secretary-General urged the country's authorities to "ensure the return of its effective authority throughout the south, including the deployment of Lebanese armed forces, and to do its utmost to ensure calm". The Security Council, in its resolution 1553 (2004) of 29 July 2004 , extended the mandate of UNIFIL until 31 January 2005 and reiterated its strong support for the territorial integrity, sovereignty and political independence of Lebanon within its internationally recognized boundaries. Condemning all acts of violence, the Council also expressed great concern about the sea, land and continuing air violations of the withdrawal line. It urged the parties to end those violations, to refrain from any act or provocation that could further escalate tension and to abide scrupulously by the obligation to respect the safety of UNIFIL and other United Nations personnel. Reporting to the Security Council on 20 January 2005 , the Secretary-General said that, over the period from July 2004 through January 2005, the Blue Line had enjoyed a prolonged period of relative quiet. The Secretary-General had hoped that this situation would present an opportunity for achieving progress towards the objective of bringing international peace and security to southern Lebanon . But, as had been demonstrated more than once over the past four years, and again in January 2005, significant periods of quiet along the Blue Line were often followed by episodes of hostilities. Furthermore, the Secretary-General continued, while violent incidents were considerably fewer than during the previous reporting period, tensions between the parties did not at any point appreciably diminish. Hostile rhetoric remained the norm, and stability continued to be threatened, most dramatically by the incidents of 9 and 17 January, but also by rogue acts and, for the first time, air incursions from both sides. The resumption of military measures, for which Hezbollah took credit, asserting its claimed prerogative to resist Israeli occupation of Lebanese territory by force, was disturbing, the Secretary-General said in the report. The United Nations had made abundantly clear that no violations of the Blue Line were acceptable. The continually asserted position of the Government of Lebanon that the Blue Line was not valid in the Shab'a farms area was not compatible with Security Council resolutions. The Council has recognized the Blue Line as valid for purposes of confirming Israel 's withdrawal pursuant to resolution 425 (1978). The Government of Lebanon should heed the Council's repeated calls for the parties to respect the Blue Line in its entirety. The Secretary-General stated further that the air violations also remained a matter of significant concern. As long as Israel carries on with its policy of overflying Lebanon whenever it sees fit to do so, it risked provoking retaliatory acts from the Lebanese side. In addition, the periodic sonic booms generated over population centres only generate animosity in the local populace. While the lack of instances of anti-aircraft fire across the line during the reporting period must be noted and welcomed, Hezbollah's launch of a drone into Israel was a regrettable development, an activity sure to raise tensions and to increase the prospects for military confrontation. The Secretary-General wished to remind all parties of the consistent position of the United Nations that there should be no air violations, a position that applied on both sides of the Blue Line. The Secretary-General said that the rocket-firing incidents perpetrated by individuals allegedly affiliated with Palestinian militant factions demonstrated the volatility of the sector. Importantly, none of the incidents resulted in a military escalation, and for this the parties and UNIFIL deserved credit. Nevertheless, this type of incidents presented a great risk to stability in the area. The Lebanese Government continued to exercise the capacity it had demonstrated thus far to exert its security authority through various activities of the Joint Security Force, including prompt responses to specific incidents. More needs to be done, however, to meet the Security Council's call for extended measures to ensure the return of effective governmental authority throughout the south, including through the deployment of additional Lebanese armed forces. Once again, the Secretary-General urged the Government to do its utmost to ensure calm and to exert full control over the use of force across its entire territory. Concluding the report, the Secretary-General said that the situation along the Blue Line continued to be susceptible to volatile regional developments, underscoring the need to achieve a comprehensive, just and lasting peace in the Middle East , based on all the relevant resolutions of the Security Council. In the light of conditions prevailing in the area, the Secretary-General recommended that the Council extend the mandate of UNIFIL until 31 July 2005. Gravely concerned at persistent tension and violence along the Blue Line between Lebanon and Israel, the Security Council, by its resolution 1583 (2005) of 28 January, condemned all acts of violence, including recent incidents across that Line that resulted in the killing and wounding of United Nations military observers, and extended, until 31 July 2005, the mandate of UNIFIL. The Council supported UNIFIL's continued efforts to maintain the ceasefire along the withdrawal line, but expressed its intention to review the Force's mandate and structures at the end of the mandate period, for which it requested the Secretary-General to make recommendations, taking into account the situation on the ground, the activities actually performed by the Force in its area of operation and its contribution towards the remaining task of restoring international peace and security. The Secretary-General submitted his further report on 20 July 2005 covering developments since January 2005 and also containing recommendations on UNIFIL’s mandate and structures based on an assessment mission by the Department of Peacekeeping Operations (DPKO) to Lebanon from 8 to 10 May. A fragile quiet prevailed in the UNIFIL area of operation during most of the period under review, although the situation was often marked by tension, the report said. Violations of the Blue Line continued, most often in the form of recurring air violations by Israeli jets, helicopters and drones, as well as ground violations from the Lebanese side, primarily by Lebanese shepherds. Hostilities in the area escalated in May with armed exchanges between Hezbollah and the IDF with rocket firing by unidentified armed elements. The situation deteriorated significantly on 29 June, when Hezbollah and the IDF engaged in a heavy exchange of fire in the Shab’a farms area, resulting in the death of one IDF soldier and the wounding of four others and the death of two Hezbollah fighters. The hostilities that occurred in May and the grave incident on 29 June demonstrated, once more, that the situation remained volatile, with the potential for a deterioration of conditions, the Secretary-General stated. Both Israel and Lebanon regularly declare their desire to avoid confrontation and destabilization of the area. Economic development of the south was inextricably linked to peace and security, the report continued. The Secretary-General called on the Government, international donors, United Nations agencies and non-governmental organizations to increase their efforts towards the economic rehabilitation and development of southern Lebanon. The report went on to say that since the assassination of former Prime Minister Rafic Hariri on 14 February, Lebanon had undergone a period of increased political instability, manifested by large-scale demonstrations in the capital, the resignation of the Government, several bomb attacks in various areas of Beirut, the assassinations of journalist Samir Kassir and politician George Hawi, and most recently, the attack on the envoy of Defence Minister Elias Murr. The withdrawal of Syrian forces from Lebanon by the end of April made possible the holding of free and fair parliamentary elections over a four-week period in May and June. Lebanese armed forces now had to show that they could maintain effective security throughout the country, at a time when the size of the Lebanese Army was being reduced significantly. Turning to the assessment carried out by DPKO, the Secretary-General concurred with its view that in the existing political and security situation in southern Lebanon, a combination of armed infantry and unarmed observers remained necessary for UNIFIL to carry out its mandated tasks. The current level of forces was required to maintain the critical positions in the areas of operation that monitored the Blue Line and its approaches and to provide appropriate protection for the personnel and assets of both UNIFIL and the Observer Group Lebanon. Without exception, Lebanese authorities and diplomats confirmed that, in the currently prevailing uncertain political and security conditions, UNIFIL continued to play a crucial role in implementing its mandate in accordance with Council resolution 425 (1978). The Secretary-General concluded that the situation in Lebanon and the wider region did not support a change in the UNIFIL mandate or another reconfiguration of the Force at this stage and recommended that the Security Council extend its mandate until 31 January 2006 with no changes to the Force’s strength and composition. By unanimously adopting resolution 1614 (2005), the Council extended the mandate of UNIFIL accordingly and called upon the Government of Lebanon to fully extend its “sole and effective” authority throughout the south, including through the deployment of sufficient numbers of armed and security forces and to exert “control and monopoly over the use of force” on its entire territory. In that connection, the Council welcomed the Secretary-General’s intention to discuss with the Lebanese Government the next steps in preparing for an expansion of its authority in the south. The Council took note of the Secretary-General’s opinion that the situation did not support a change in UNIFIL’s mandate or another reconfiguration of the Force at the current stage. However, the Council expressed its intention to keep the mandate and structures of UNIFIL under regular review. Further Secretary-General’s report on UNIFIL was dated 18 January 2006, in which he recommended to extend the Force’s mandate for a further six months, until 31 July 2006. Describing the political and security environment as still fragile, the Secretary-General pointed particularly to the November 2005 Hizbollah attack, which had led to a heavy exchange of fire with IDF. He also warned that the rocket firing incidents by unidentified armed elements of August and December had significant potential for military escalation. Persistent Israeli air incursions into Lebanese airspace also disrupted the fragile calm. “The serious breaches of the ceasefire underlined yet again the urgent need for the Government of Lebanon to act and extend its full authority throughout the south down to the Blue Line”, the Secretary-General said. He was encouraged by Lebanon’s commitment to hold perpetrators of the attacks responsible to avoid their recurrence, and he welcomed new steps for coordination between the Government and UNIFIL, however, he stressed that “more needs to be done”. The Secretary-General welcomed the Lebanese Government’s decision to co-locate the Army Liaison Office with UNIFIL headquarters in Naqoura, to appoint liaison officers with the UNIFIL field battalions and to work closer with the Force in the field. He was pleased to note the appointment of the new Government Coordinator with UNIFIL. Planning for the deployment of additional forces in the south should start without delay, he said. In that regard, he encouraged the Lebanese Government to take up the Force Commander’s proposal to establish a joint planning cell composed of members of the Lebanese Armed Forces and UNIFIL. The activities and presence of the Joint Security Force could also be enhanced on the ground, even within the limits of its authorized strength of 1,000 troops. Additionally, closer coordination between UNIFIL and the Joint Security Force patrols in the south would contribute to enhancing the role and activities of the Lebanese Armed Forces in the area. The implications of an increased presence of the Lebanese Armed Forces in the south for UNIFIL structure and force strength would be regularly assessed. By its resolution 1655 of 31 January 2006, the Security Council extended the mandate of UNIFIL until 31 July 2006 and called again on the Government of Lebanon to fully extend and exercise its sole and effective authority throughout the south. By that resolution, the Council condemned all acts of violence, including the serious incidents across the Blue Line initiated from the Lebanese side that had resulted in deaths and injuries on both sides. The Council expressed great concern about the serious breaches and the sea, land and air violations of the withdrawal line. It urged the parties to put an end to those violations, to refrain from any act of provocation that could further escalate the tension and to abide scrupulously by their obligation to respect the safety of UNIFIL and other United Nations personnel, including by avoiding any course of action which endangered United Nations staff. Also by the resolution, the Council welcomed the Government’s recent establishment of a Lebanese Armed Forces liaison office at UNIFIL headquarters, and acknowledged the firm intention of the Lebanese Government to preserve security and, to that end, to reinforce the presence of its Armed Forces in the southern region and to coordinate their activities with UNIFIL. Nevertheless, the Council urged the Government to do more to assert its authority in the south, to exert control and monopoly over the use of force and to maintain law and order on its entire territory. It also urged the Government to prevent attacks from Lebanon across the Blue Line, including through deploying additional numbers of Lebanese Armed Forces and Internal Security Forces and taking up UNIFIL’s proposals to enhance coordination and to establish a Joint Planning Cell. The Council expressed its intention to keep UNIFIL’s mandate and structures under regular review, taking into account the prevailing situation on the ground, the activities actually performed by the Force in its area of operation, its contribution towards the remaining task of restoring international peace and security, the views of the Lebanese Government and the measures it had taken to fully extend its authority in the South, as well as the implications those measures might have, in order to adjust the force to its mission. New hostilities on the Israeli-Lebanese border started on 12 July 2006 when Hizbollah launched several rockets from Lebanese territory across the Blue Line towards IDF positions near the coast and in the area of the Israeli town of Zarit. In parallel, Hizbollah fighters crossed the Blue Line into Israel, attacked an Israeli patrol and captured two Israeli soldiers, killed three others and wounded two more. The captured soldiers were taken into Lebanon. Subsequent to the attack on the patrol, a heavy exchange of fire ensued across the Blue Line between Hizbollah and the IDF. While the exchange of fire stretched over the entire length of the Line, it was heaviest in the areas west of Bint Jubayl and in the Shabaa farms area. Hizbollah targeted IDF positions and Israeli towns south of the Blue Line. Israel retaliated by ground, air and sea attacks. In addition to air strikes on Hizbollah positions, the IDF targeted numerous roads and bridges in southern Lebanon, within and outside the UNIFIL area of operations. In his July report on UNIFIL, covering the period from 21 January through 18 July 2006, the Secretary-General noted that situation in the UNIFIL area of operation remained tense and volatile, although it was generally quiet during most of the reporting period. But, the start of the new hostilities on 12 July had “radically changed the context” in which the mission operated. “In the current environment, circumstances conducive to United Nations do not exist”, he said, adding that the Force was restricted from carrying out even basic activities, such as the ability to resupply its positions and to conduct search and rescue operations on behalf of its personnel. With UNIFIL’s mandate expiring on 31 July, the Secretary-General recommended that the Security Council extend it only for one month pending consideration of other options for future arrangements in South Lebanon. The Council agreed with the Secretary-General’s recommendation and, by its resolution 1697 of 31 July, extended UNIFIL’s mandate until 31 August 2006. The Council also expressed the deepest concern at the escalation of hostilities in Lebanon and Israel since 12 July, urged all concerned parties to avoid any action that might endanger UN personnel, and called on them to allow the Force to resupply its positions, conduct search and rescue operations on behalf of its personnel and undertake any other measures that it deemed necessary to ensure the safety of its personnel. As conflict between Israel and Hezbollah erupted in southern Lebanon, the Secretary-General maintained regular contact with the Prime Ministers of Lebanon and of Israel, as well as other relevant actors and concerned parties. He also dispatched a number of high-level missions to the region. In the mean time, UNIFIL continued to occupy all of its positions and played an active and constructive role under its mandate. Despite being severely impeded by ongoing violence, UNIFIL peacekeepers conducted military observations, assisted in humanitarian efforts and provided medical assistance, all at great risk. The intense fighting in July and August injured 16 United Nations staff, and tragically caused the death of five. On 11 August 2006, the Security Council, following intense negotiations, passed resolution 1701 calling for a full cessation of hostilities in the month-long war based upon, in particular, “the immediate cessation by Hizbollah of all attacks and the immediate cessation by Israel of all offensive military operations” in Lebanon. Aware of its responsibilities to help secure a permanent ceasefire and a long-term solution to the conflict, the Security Council created a buffer zone free of “any armed personnel, assets and weapons other than those of the Government of Lebanon and of UNIFIL” between the United Nations-drawn Blue Line in southern Lebanon and the Litani river, and called for both Israel and Lebanon to support a permanent ceasefire and comprehensive solution to the crisis. The adoption of this resolution capped a week of intense debates on the French and United States-negotiated text, which had been introduced on 5 August but met with stiff resistance from Arab leaders, who said it disregarded key Lebanese concerns in favour of Israel . It sparked an urgent visit to New York by senior Arab League officials who pleaded Lebanon 's case in a closed-door meeting with the UN Secretary-General and presented to the Council an Arab-backed deal which, included the Lebanese Government's demand for a broad ceasefire and, among other things, called for a prisoner exchange between Israel and Hizbollah. The new resolution emphasized the need for an end of violence, but at the same time emphasized the need to urgently address the causes that had given rise to the crisis, including the unconditional release of the abducted Israeli soldiers. “Mindful of the sensitivity of the issue of prisoners”, the text also encouraged the efforts aimed at urgently settling the issue of the Lebanese prisoners detained in Israel . It also called for Israel and Lebanon to support a long-term solution based on, among others, full respect for the Blue Line by both parties; full implementation of the relevant provisions of the Taif Accords; no foreign forces in Lebanon without the consent of its Government; no sales or supply of arms and related materiel to Lebanon except as authorized by its Government; and provision to the United Nations of all remaining maps of landmines in Lebanon in Israel's possession. Welcoming the 7 August decision of the Lebanese Government to deploy 15,000 armed troops in Southern Lebanon , the Council extended the mandate of UNIFIL through the end of August 2007, and increased its troop strength (about 2,000 troops as of August 2006) to a maximum of 15,000. In addition to carrying out its original mandate under Council resolutions 425 and 426 (1978), UNIFIL would, among other things, monitor the cessation of hostilities; accompany and support the Lebanese armed forces as they deploy throughout the South; and extend its assistance to help ensure humanitarian access to civilian populations and the voluntary and safe return of displaced persons (see Mandate section for more details). The text emphasized the importance of the Government of Lebanon extending its control over all Lebanese territory in accordance with the provisions of Council resolutions 1559 (2004) and 1680 (2006), and called upon that Government to secure its borders and other entry points to prevent the entry, without its consent, of arms or related materiel. It further decided that all States shall take the necessary measures to prevent, “by their nationals or from their territories or using their flag vessels or aircraft” the sale or supply of arms and related materiel of all types, to any entity or individual in Lebanon . Given the importance of implementing Security Council resolution 1701, the Secretary-General visited the region himself. He attended the extraordinary ministerial level meeting of the European Union in Brussels on 25 August, and travelled to Lebanon, Israel, the Occupied Palestinian Territory, Jordan, the Syrian Arab Republic, the Islamic Republic of Iran, Qatar, Saudi Arabia, Egypt, Turkey and Spain in subsequent days, meeting Heads of State, Heads of Government, Foreign Ministers and other senior officials. In addition, the Secretary-Generals kept in close contact by telephone with those senior officials and the representatives of other concerned parties and relevant actors throughout his mission. Reporting to the Security Council, the Secretary-General said that he discerned broad support for the implementation of resolution 1701 and was encouraged by the general commitment to restoring security and stability across the Middle East. He noted that his efforts appeared to have contributed to securing the commitments of several troop-contributing countries to help stabilize the situation as part of UNIFIL, and to lifting the full aerial and sea blockade Israel had imposed on Lebanon. In the course of 30 days since the adoption of resolution 1701, the Secretary-General reported twice to the Council on its implementation—on 18 August and on 12 September. In the latter report, the Secretary-General said that Israel and Hizbollah had “largely complied” with the cessation of hostilities agreement. He pointed out that while there had been violations of the agreement, these had not been “of an offensive and hostile character,” apart from one severe incident when Israeli forces carried out a raid in eastern Lebanon on 19 August. The report noted that since the cessation of hostilities, the United Nations and other agencies had assisted Lebanon’s Government with needs assessments and other urgent tasks, while the humanitarian response has moved through early recovery efforts and short-term intervention to providing assistance to the estimated one million Lebanese who were displaced. The Secretary-General also pointed to “significant progress” regarding the gradual withdrawal of the IDF and deployment of Lebanese troops, with UNIFIL playing the coordinating role between the two sides. At the same time, he reiterated that while “short-term measures” were being put in place to ensure that the cessation of hostilities was converted into a permanent ceasefire, a sustainable long-term solution required regional issues to be taken into account. “In order to prevent a resurgence of violence and bloodshed, the underlying causes of conflict in the region must be addressed. Other crises cannot be ignored, especially in the occupied Palestinian territory, as they are all interlinked. Until the international community insists on a just, lasting and comprehensive peace in the Middle East, any one of these conflicts has the potential to erupt and engulf the entire region”, the Secretary-General said. According to the 12 September 2006 Secretary-General’s report, as of 31 August 2006, official Lebanese figures showed that 1,187 people had died and 4,092 had been injured in Lebanon as a result of the conflict. Many of these victims were children. The United Nations Office for the Coordination of Humanitarian Affairs (OCHA) estimated that one million Lebanese were displaced between 12 July and 14 August, with some 735,000 seeking shelter within Lebanon and 230,000 outside. The cessation of hostilities on 14 August triggered a massive and speedy return of internally displaced persons and refugees back to their areas of origin. According to UNHCR, within days of the ceasefire some 90 per cent of those displaced in Lebanon during the hostilities — around 900,000 or one quarter of the population —returned to their homes or were staying nearby. At the end of August, it was estimated that between 100,000 and 150,000 people remained internally displaced. In Lebanon, OCHA estimated that the conflict caused physical damage amounting to $3.6 billion, including the destruction of 80 bridges, 600 km of roads; 900 factories, markets, farms and other commercial buildings; 31 airports, ports, water- and sewage-treatment plants, dams and electrical plants; and 25 fuel stations. Unemployment is currently as high as 75 per cent in some parts of the country. An estimated 15,000 homes were destroyed. On the Israeli side, from 12 July until 14 August, 43 Israeli civilians and 117 IDF soldiers were killed. In addition to large numbers of people treated for shock and anxiety, 33 Israelis were wounded seriously and 68 moderately. During that time, 3,970 rockets landed in Israel, 901 of them in urban areas; 300,000 residents were displaced and more than a million were forced to live for some of the time in shelters, according to official Israeli figures. Since the cessation of hostilities went into effect, the nature of the humanitarian response in Lebanon has seen a rapid transition to early recovery activities and short-term intervention to provide assistance to the large numbers of returnees. The revised United Nations flash appeal, launched in Stockholm on 31 August, put the emphasis on the clearance of mines and unexploded ordinance, emergency health and education needs, and water and sanitation, with the vast part of project implementation to take place in the coming six weeks. The first elements of the expanded force were deployed with record-breaking speed for any peacekeeping operation of such complexity, with battalions from France, Italy and Spain arriving to the area of operation by 15 September, and joining the contingents already in place from Ghana and India. The swift and effective deployment of the expanded UNIFIL and the activities that the Force undertakes since than on a daily basis have been critical in preventing a recurrence of hostilities across the Blue Line and has helped to establish a new strategic military and security environment in southern Lebanon.